The tools are the most important parts of a craft and like any other craft in the world video creation and editing also has a certain set of tools. Without the proper use of these tools, the creation of a respectable and effective video is almost impossible. Of course, we all know that a good camera is a necessary tool to start an effective video marketing campaign. Investing in a proper high definition video camera or a DSLR can greatly increase the quality and production value of your videos. Most people have great ideas for marketing videos but still, their videos don’t get the audience they desire. This is because of the poor portrayal of the idea. A high-quality camera will help you bring the most creative ideas to life in a spectacular fashion. If your business is in the starting pas and you can’t afford an HD camera then you can also rent it or you can hire a professional movie maker who will have all the equipment you require to make a winning advertisement video. 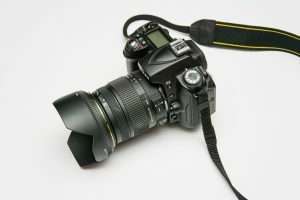 Canon, Nikon, Samsung, Sony, and Olympus are some of the most popular brands that sell excellent high-quality cameras at very reasonable prices. If you want to add any level of creativity to your video you need to add some special effects and graphics to it. For this purpose, a green screen is critical. By using a green screen, you can change the background of a video, add animations to it and overall you can take your videos to a whole new level of creativity. Green screens are used by weather reporters to create large CGI maps. The green screen is the bread and butter of Hollywood movies. The green screen is like a blank canvas for your video making creativity. It opens up ways to numerous creative possibilities in your production process. So, invest in a green screen today to stand out and stay ahead of your competition. Now that you have recorded your advertisement videos you need to edit them. Many tools and applications are available for this task but ‘Stop-motion’ is an application that is perfect for the job. It is very innovative and intuitive and has loads of cool features. Stop motion can help you create really cool and awesome videos by using stop-motion technique. The app is available on the IOS platform. The app itself is free but it hosts a very interesting set of in-app purchases. The application provides you with features like green screen, sound effects and image import. Stop motion provides the users with the facility to watch and edit their videos frame by frame which leads to a more elegant editing experience. Animoto is cloud-based software that is often regarded as one of the easiest video editors in the market. It will help you create fantastic videos in just three simple steps. Firstly, add the photos and videos that you require. Secondly, customize your video with styles, effects, background music and many other features that are available on the software. And finally, post it on your website. The tool is also available as a mobile compatible application that allows you to edit videos on the go. Animoto is great for creating video slideshows using photos, video clips, and music. Adding animations to your videos can make them significantly more enjoyable and unique. Powtoon is a great program that allows its users to incorporate animation into their videos. Powtoon has a wide range of effects, characters, backgrounds, and transitions to choose from. The tool also has built-in templates that can make your work easy but if you are feeling creative then don’t worry. Powtoon doesn’t limit you to the templates like many other editors instead it allows users to start their own template from scratch. Powtoon also has features to create animated video presentations that can be posted on your websites as explainer videos and can be promoted on social media websites. PicoVico is a cloud-based online tool that can create slideshows from videos and images in a matter of minutes. PicoVico provides the users with many awesome features such as voice over, effects, background music and predefined templates. These features can make the users able to create amazing and beautiful slideshows by following a few simple steps. The videos that are edited through PicoVico can be exported to your computer or posted to social media platforms directly. This tool is great for both professional and personal use. PicoVico also provides an API (application programming interface) option for bulk videos. Windows movie maker is free and simple video editing software that comes built-in with some versions of windows and in others, it can be downloaded from the video store in just a few clicks. Windows movie maker is very lightweight software that doesn’t put any load on the computer but still, it has all the basic features required to make a solid advertisement video. It provides users with features like effects, transitions, background music, voice over and slideshow creation. Windows movie maker is a great tool for people who are new to video creating and editing and it can provide a great base for using more complicated video creation programs like Fillmore and Final Cut Pro. Windows movie maker also allows users to view videos frame to frame and at variable speeds which can greatly help in the creation process. Shawn Marshall is the father of two little girls. He is a digital marketer by profession and is utterly obsessed with the growing technology. He regularly shares her bright ideas on Squareship. NextHow Well Are You Aware Of Public Relation Courses? thanks dear for good article.